This patient was presented with a missing canine tooth, a peg-shaped lateral incisor, and moderately crowded upper dentition. 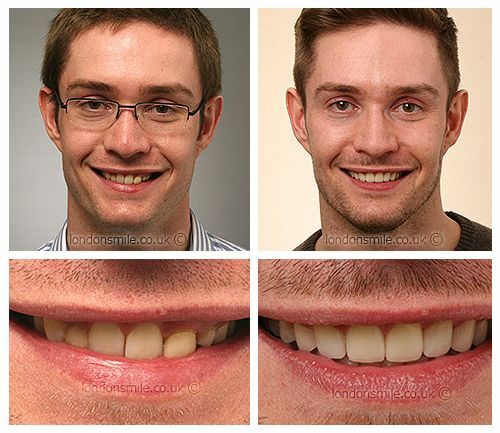 A couple of years of fixed orthodontic treatment, followed by six porcelain veneers. A missing canine and peg lateral incisor. Brace and six veneers on top teeth. Yes, no pain during veneers, less than expected during orthodontics. Matched, I knew the London Smile Clinic had a good reputation. Stopped me worrying about my teeth. More confidence when smiling.